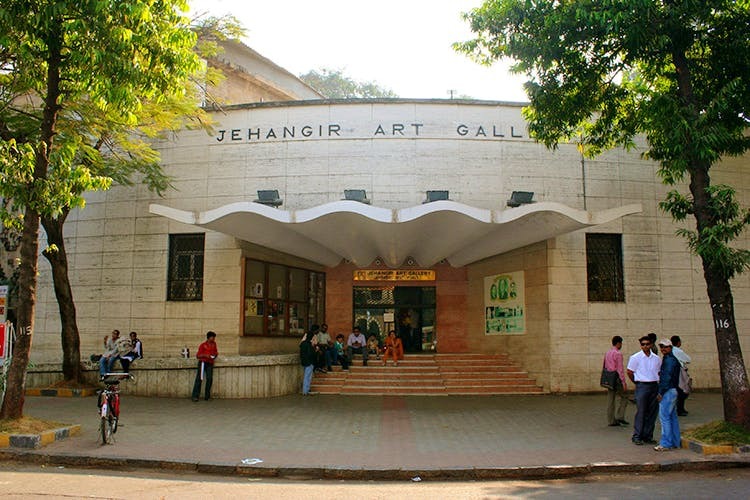 If you’re looking for your way around the art district of Kala Ghoda, Jehangir Art Gallery is a good starting point – owing to its illustrious art and legendary history. The gallery dates back to the post-colonial era when arts and culture in this country did not find a place among the population. With the gallery’s inception, a new movement took shape in India. Often termed as the renaissance of Indian art, it was all spearheaded by the gallery. The likes of M.F. Hussain and S.H. Raja have showcased their work here at a time when modern art did not find its patrons in the city. The gallery, spaced across two floors, hosts some of the most fascinating artists from the country. It has an auditorium hall, the Hiren Jehangir gallery, a terrace art gallery for photography and visual art exhibitions. The gallery has always supported Indian art and gives a chance to the upcoming, struggling and even veteran artists to showcase their art work here. The gallery also hosts the annual Kala Ghoda Arts Festival. A day spent here is a day spent well – just walk around the gallery and you can even interact with the artists. And when you decide to leave, you can always head on over to the tiny museum shop and get some souvenirs for yourself. If you’re ever in SoBo, do a quick hop over to the gallery that has withstood time, and continues to do so till date. Also, the gallery hosts 300 shows annually, and you must not give their annual exhibition titled ‘Monsoon Art Show’ a miss where they open the space up to the local artists. Since you’ll already be at the gallery, do make sure to checkout the artists that sell their artwork outside the gallery. You can read more about it here.